John Chen calls for Application Neutrality | BlackBerry Blast! BlackBerry CEO, John Chen, recently sent a letter to members of congress to address the net neutrality issue. The letter went to the Chairman of the U.S. Senate Committee on Commerce, Science and Transportation, the Chairman of the House Committee on Energy and Commerce, as well as Ranking Committee Members. 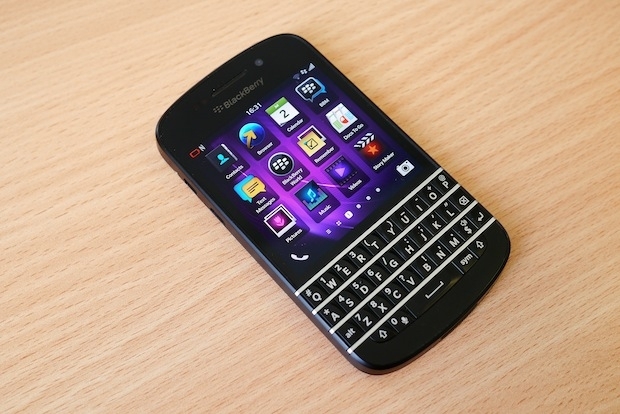 The letter has been subsequently published on the BlackBerry Blog. In addition to net neutrality, Mr. Chen called for Application/Content Neutrality. I'm not sure his argument holds much water however. Unfortunately, not all content and applications providers have embraced openness and neutrality. Unlike BlackBerry, which allows iPhone users to download and use our BBM service, Apple does not allow BlackBerry or Android users to download Apple�s iMessage messaging service. Netflix, which has forcefully advocated for carrier neutrality, has discriminated against BlackBerry customers by refusing to make its streaming movie service available to them. Many other applications providers similarly offer service only to iPhone and Android users. This dynamic has created a two-tiered wireless broadband ecosystem, in which iPhone and Android users are able to access far more content and applications than customers using devices running other operating systems. These are precisely the sort of discriminatory practices that neutrality advocates have criticized at the carrier level. Therefore, neutrality must be mandated at the application and content layer if we truly want a free, open and non-discriminatory internet. All wireless broadband customers must have the ability to access any lawful applications and content they choose, and applications/content providers must be prohibited from discriminating based on the customer�s mobile operating system. First of all, I don't remember BlackBerry making this argument when they were the dominant platform and BBM required a BlackBerry. It seems BlackBerry needs help to survive so they are looking for assistance from the government. More importantly, BlackBerry users are missing out on all of the benefits of an iPhone or Android device, not just a few apps. Everyone seems to be developing their own ecosystems these days in an effort to lock customers in to one platform. As frustrating as that is, we don't need the government to step into make a specific law. There is more than enough competition to let the market correct itself.